First off, hi again everyone! It's a great pleasure to be asked once again to help fill in for Sanaya and Anahita Lakdawalla's mom Emily on The Planetary Society's Weblog this week. I'm constantly amazed by how many people tell me that they turn to this page for the latest "insider" information on planetary exploration, and, probably like you, I'm in awe of Emily's ability to keep up with it all! If you're a Planetary Society member, this kind of special seating in the space exploration theatre is one of the many perks of membership. If you're a regular reader of this page but you're *not* a member of The Planetary Society, please consider joining and supporting the continued work that Emily and others do to keep you so well informed about planetary exploration. I've been thinking a lot about the Moon lately. Most specifically, a new robotic lunar exploration mission called Lunar Reconnaissance Orbiter(LRO) is set to launch in about a month. While a main goal of the mission is to search for potential landing sites and resources for future human explorers on the Moon, lately I've been thinking mostly about the way that this mission is likely to completely revolutionize lunar science. 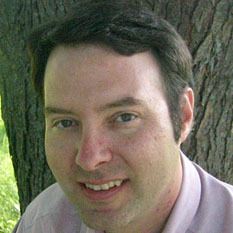 I'm involved as a Participating Scientist in the mission, which means that I wasn't on the original team that wrote proposals back in 2004 to put instruments on LRO, but instead I proposed a science investigation and was selected by NASA to join one of the instrument teams later (in 2007). The Participating Scientist program is a great way that NASA has come up with to give everyone in the community (and not just U.S. citizens!) a chance to get involved with spacecraft instrument teams through a competitive proposal selection process. It's an especially useful career entry path for young people in planetary science--this is how I was able to get involved in the Mars Pathfinder and NEAR missions back in the 90s, for example, when I was green and relatively fresh out of grad school (sigh...). 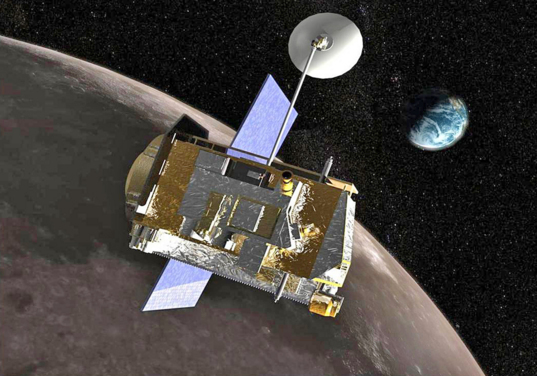 An artist's conception of the Lunar Reconnaissance Orbiter (LRO) in orbit around the Moon. My LRO Participating Scientist proposal was to join the Lunar Reconnaissance Orbiter Cameras(LROC) science team, a group of lunar geologists, geophysicists, and geochemists led by Prof. Mark Robinson at Arizona State University. Mark and I were in graduate school together, and so it's been rewarding to see him advance in his career from a grunt graduate student in the trenches to the leader of a camera team on a major NASA mission. Mark is part artist, part explorer, part engineer, and still, part grunt-really enjoying getting his hands dirty in the nitty-gritty of planetary imaging, mapping, and geomorphology. LROC is actually three cameras: a wide-angle low resolution color camera called the WAC (for Wide Angle Camera), and two side-by-side narrow angle cameras (you guessed it: NAC) that take high resolution monochrome images. The WAC will image the entire Moon in seven colors from the UV through the visible and at a scale of about 100 meters per pixel. The NACs, when used together, image a swath of the Moon about 10 km wide at a spatial scale of only 50 *centimeters* per pixel-or about 25 times higher than the highest-resolution lunar orbital imaging presently available. Over the course of about a two year nominal mission orbiting the Moon, these cameras are scheduled to return more than 20 TeraBytes (20 million million bytes) of photographic data back to Earth. When it's all processed and calibrated and mosaicked and archived it will be an astounding planetary data set, with something like 100 times more data than from any previous mission. I'm especially excited about seeing those 50 cm/pixel images of the Moon. I remember the days before Mars Global Surveyor (MGS) when all we had to work with were Mars images from the Viking Orbiters at a scale of tens to hundreds of meters per pixel (I know, poor us). Mars is, of course, fascinating and diverse at that scale, and many new discoveries were made from the Viking data. However, when Mike Malin's Mars Orbiter Camera (MOC) was trained on the planet and started returning images at 150 cm/pixel resolution, everything changed. MOC images, and subsequent even higher resolution imaging from Alfred McEwen's 25 cm/pixel High Resolution Imaging Science Experiment (HiRISE) camera on the Mars Reconnaissance Orbiter (MRO), have completely revolutionized our understanding of Martian geology and climate history. It's like a magic window opens up to planetary scientists when you cross an imaging threshold near and below the scale of 1 meter per pixel. MOC beamed the magic back to us for nearly a decade; HiRISE is still beaming it back to us every day. What kinds of lunar surface features and processes will we discover at 0.5 meters per pixel in the LROC images? Mars showed us gullies and deltas and fine-scale layers and tiny new craters. What might we expect on the Moon? Probably not water-related features, but who knows. Small comet impact sites? Water ice deposits in permanently shadowed polar regions? I think we'll see a whole new range of volcanic, impact, and tectonic features on the Moon revealed at this scale. And we know for certain that we'll see at least one brand new crater, because one of the mission's experiments, called LCROSS, will intentionally smash projectiles into a shadowed polar region to search for evidence of buried water there using images and spectroscopy. That's likely to be a spectacular event, thinking back to the fireworks from the Deep Impact mission's similar impact encounter with Comet Tempel-1 in 2005. My own planned LRO research, conducted with colleagues Matt Pritchard and Ole Gustafson here at Cornell, will focus on small-scale features that indicate past pyroclastic ("fire fountaining") volcanic eruptions on some parts of the Moon, and on globally mapping and analyzing a variety of tectonic features (faults, wrinkle ridges, scarps, etc.) at this unprecedented scale. What's fun to think about is that we're going to see things that we *didn't* expect to see, once we open our lunar eyes at that scale. Bring on the magic! Bring on the lunar science revolution! LRO's Atlas V rocket is being stacked up at Cape Canaveral, and fueling of the spacecraft itself will begin this week. The countdown clock is starting, heading for the opening of our launch window on June 2. LRO is a joint effort between the human and robotic exploration sides of NASA, and as such is the first tangible step in NASA's new "Vision for Space Exploration" plan that began in 2004. Will the mission ultimately end up advancing that Vision-which, as we all know, is under intense Congressional and Administration scrutiny these days-or some other version of that Vision, perhaps like the one that The Planetary Society has been advocating recently (see http://www.planetary.org/programs/projects/space_advocacy/roadmap.html), which envisions human exploration of the Moon as just one facet of a broader, international program leading to human exploration of Mars? In the meantime, let's get that first step moving on June 2. Go LRO!